Choosing the right fencing panels for your garden is important for a variety of reasons. Garden fencing not only demarcates the boundaries of a property, ensuring your privacy, but can also add aesthetic value, which is why you should keep your fence in good repair and replace old or damaged fencing panels and fence posts when necessary. 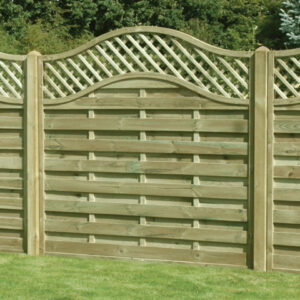 Here at Keynsham Timber we offer a wide range of fencing panels to suit various purposes and garden styles. 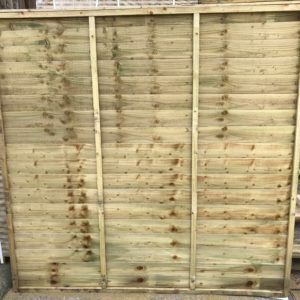 We supply and deliver fencing panels to trade customers as well as the public in Bristol, Bath, Keynsham and the surrounding areas. Our most popular wooden fencing panels are the premium feather edge panels, which are robust and provide total screening, and our high quality, strong, lap panel fencing. We also offer decorative fence panels – the Sussex Wave/Arch and York Flat/Arch panels – which are both elegant and practical for fencing shared boundaries because both sides are the same. 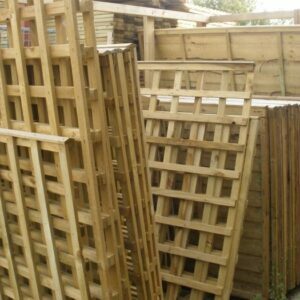 Our range of fence panels includes Diamond Trellis Panels, Square Trellis Panels and Picket fence panels, which can be used to top off plain panel fences to add interest to the garden, or they can stand alone as supports for climbing plants, or to screen garden features. Picket fencing panels are useful for edging wooden decking areas. 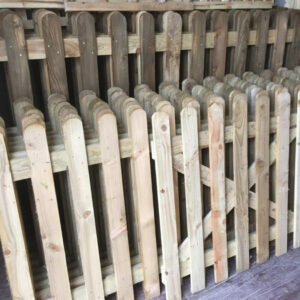 Our online store also makes it easy to select and treated fencing posts, ‘postcrete’, wooden gates and any other fencing supplies you require, which can all be delivered together. Picket panels are the ideal fencing to edge your front garden or as a rear garden divide. The picket fencing range is a great fence for maintaining openness in your garden without compromising your property boundaries. Comes pressure treated green. Feather Edge Fencing has a robust structure capable of braving the worst weather conditions, providing a strong and durable boundary to your property. Complete with capping and fully pressure treated Green. 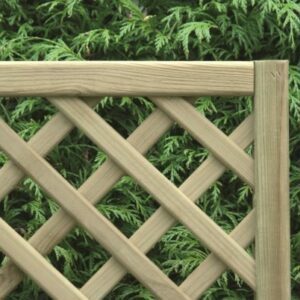 These panels are complemented by our range of diamond trellis. 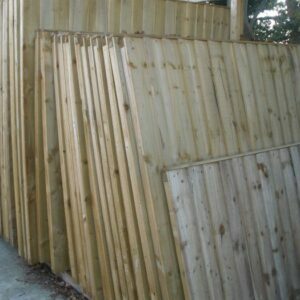 Lap panel fencing is the most common form of fencing in the UK. But economy doesn’t mean a reduction in quality. Our superlap panels are pressure treated and supported both sides with 4 batons for extra strength. They also come complete with capping rail as a finishing touch. These panels are some of the most robust on the market, and lap panels remain the industry standard on new housing developments. An excellent value for money panel. Adding a trellis on top adds a decorative touch. Manufactured in Europe from selected softwood and pressure treated green. These panels are stylish and elegant. Ideal for shared boundaries as the panels are identical on both sides, they also look impressive surrounding decked areas. 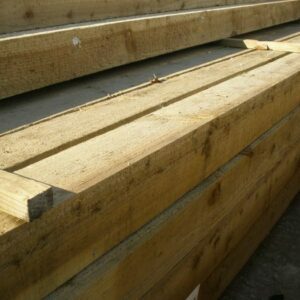 We sell the timber batons to extend these panels to 1.83 (6ft). Please phone to enquire.